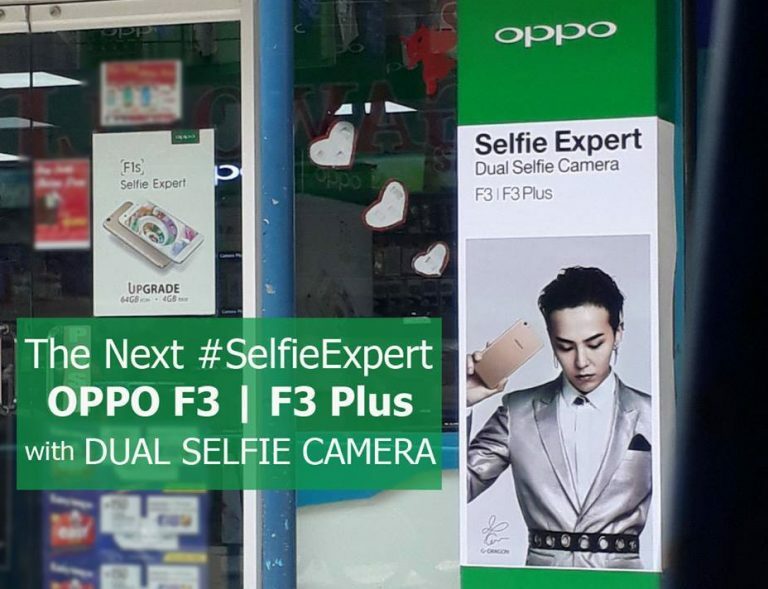 Oppo is going to launch its next generation of Selfie experts called Oppo P3 and Oppo F3 Plus in India on March 23 in an official event in New Delhi and has already started teasing the device via its social media channels. 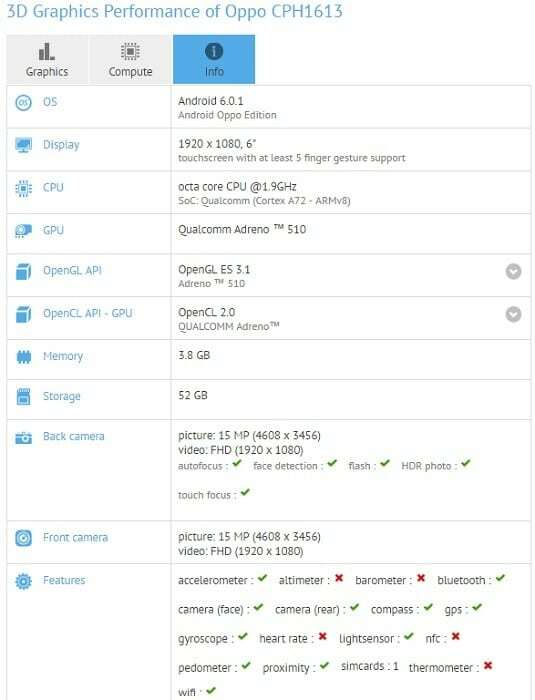 The bigger Oppo F3 Plus has just been spotted listed at the GFXBench benchmark listing confirming most of the rumored specifications of the device that we revealed in our previous articles. The Oppo F3 Plus is listed at GFXBench with code name Oppo CPH1613 and we almost have all the specifications of the device now with this GFXbench listing. Let's check them out. The Oppo F3 Plus is listed at GFXBench with code name Oppo CPH1613 and features a 6-inch full-HD display that has a 1920 x 1080 pixels resolution and its not QHD as we saw in its past rumors but we can still expect 2.5D Curved Glass and Corning Gorilla Glass 5 protection for the F3 Plus. It is powered by a octa core 1.9GHz Qualcomm (Cortex A72 - ARMv8) Snapdragon 653 processor along with Adreno 510 GPU and 4GB of RAM instead of 6GB. It comes with 64GB of inbuilt storage capacity. The GFXBench listing shows a single camera on both rear and front but we already know that it will have a dual camera on front panel with screen flash. The GFXbench lists the device with a 16-megapixel rear and a 16-megapixel front facing camera lenses but it will have a 16-megapixel + 8-megapixel front facing camera. No other details about the device are currently listed on the GFXBench. The past rumors suggests that the Oppo F3 Plus will have a 6.0-inch QHD Super AMOLED display with 1440 x 2560 pixels resolution, 512 ppi, 2.5D Curved Glass and Corning Gorilla Glass 5 protection. It will be featuring a full metal body design and will have a 2.0 GHz Octa Core processor. It will have 6GB of RAM along with 64 GB inbuilt storage capacity and MicroSD card expandable storage with up to 256 GB. It will also run on the Android 7.0 Nougat OS out of the box and will support Dual SIMs. It will feature a 16-megapixel rear camera with F/2.0 aperture, phase detection autofocus and an LED Flash. On the front panel, it will have a dual camera setup with 16-megapixel + 8-megapixel lenses and smart screen flash. The front physical home button will have a fingerprint scanner. A 4000 mAh battery with VOOC fast Charging will be backing up the device and connectivity options includes 4G LTE, 3G, GPS, Bluetooth and WiFi.